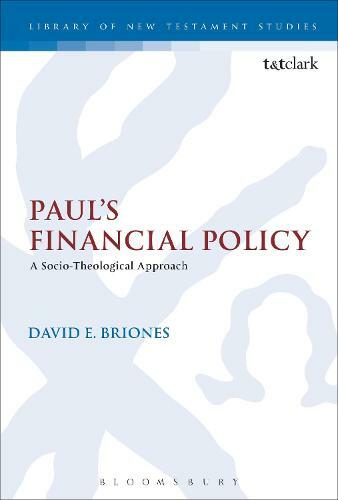 This book attempts to prove the consistent nature of Paul's financial policy by drawing from his social environment and theological convictions to tease out a three-way relational pattern with God as the source of all possessions. This three-way relational framework not only dictates Paul's decision to accept or reject finances from his churches but also directly challenges long-standing claims made about Paul's financial policy. After outlining the various approaches that scholars have taken to make sense of Paul's seemingly inconsistent financial policy, this book provides a close exegetical analysis of relevant passages in Philippians, 1 Corinthians, and 2 Corinthians in order to unearth a three-way relational pattern found in Philippians but that is absent from the Corinthian Correspondence. In Paul's positive gift-exchange relationship with the Philippians, God is acknowledged as the source of all possessions, whereas the Corinthians are criticized for striving after two-way exchanges that result in honor, power, and prestige.After this is demonstrated, a socio-theological reason for Paul's refusal of Corinthian gifts is propounded. Paul refused Corinthian support, not because they desired to patronise him as a dependent client, but because they sought to be under Paul as their superior, an act that neglected God as the superior source of all gifts in the divine economy. Paul therefore refuses their support to avoid two-way relationships of gift so prevalent in ancient society and to underscore the source of the gift of the gospel, the one from whom and through whom and to whom are all things - God.